"With scant media attention, climate scientists from Stanford University have concluded that climate change is occurring 10 times faster than at any time in the past 65 million years, and the current pace of change will lead to a 5-6 degree (Celsius) spike by the end of this century." First off, a peer-reviewed paper published in Nature Climate Change notes that there has been no statistically-significant global warming for the past 20 years, thus, the current rate of climate change is zero. 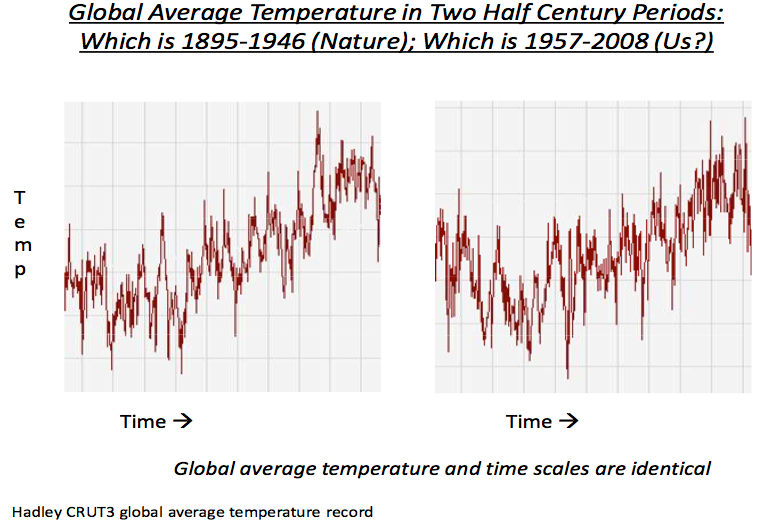 Diffenbaugh's claim that "the current pace of change will lead to a 5-6 degree (Celsius) spike by the end of this century" is blatantly false because the current pace of change is zero. Secondly, the pace of warming from 1895-1946, which even alarmists agree was natural, was identical to the pace of warming from 1957-2008. Third, it is well known that climate has changed much, much faster in the past, such as during the Younger Dryas when temperatures increased 10C in only a decade. Greenland ice core data demonstrates without question that climate change has occurred at much faster rates in the past, both warming and cooling, as is readily apparent from the ice core data. Thus, once again, Stanford 'scientist' Noah Diffenbaugh is caught out misrepresenting the scientific literature to sell his global warming flim-flam to the public. With scant media attention, climate scientists from Stanford University have concluded that climate change is occurring 10 times faster than at any time in the past 65 million years, and the current pace of change will lead to a 5-6 degree (Celsius) spike by the end of this century. NEXT FAIRY TALE. They are ridiculous.